Newton Abbot club and then passed his Intermediate & Advanced licences here at Riviera. forward to seeing him at future ones. John runs a local Allstar node from his home in Paignton. This entry was posted in Advanced Exam, Amateur Radio, AOTA, Awards, Events, Exams and Training, Foundation Exam, GB4AOA, GB4LBW, GB4TSF, GB8AFD, Intermediate Exam, Lifeboat Week, MX0RIV, On Air, Riviera ARC, SES and tagged amateur, AOTA, Brixham, Foundation exam, Foundation licence, ham radio, MX0RIV, RARC, Riviera ARC, Torbay, Torquay on 12/10/2016 by G4XKH. Riviera ARC were on air with the special event callsign for Torbay Steam Fair at the beginning of August. The event was held 3/4/5 August and RARC were set to operate on the Saturday and Sunday. After a succesful day on Saturday 4th with almost 150 QSOs in the log, the Sunday activities were cancelled by event organisers due to the weather conditions. QSL cards will soon be available and sent to those who wish to exchange cards direct with SASE or via Bureau/eQSL. Photos of the event can be seen in the Gallery. This entry was posted in Gallery, GB4TSF, Riviera ARC, Torbay Steam Fair and tagged Torbay Steam Fair on 25/08/2012 by G2DXU. 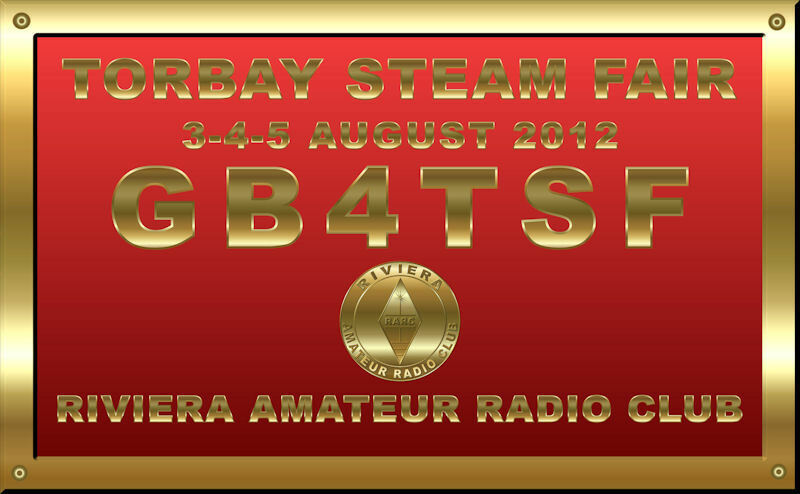 We are pleased to confirm that the Special Event Station callsign GB4TSF has been issued for the Torbay Steam Fair. Riviera Amateur Radio Club will be operating from the showground on Saturday 4th & Sunday 5th August. 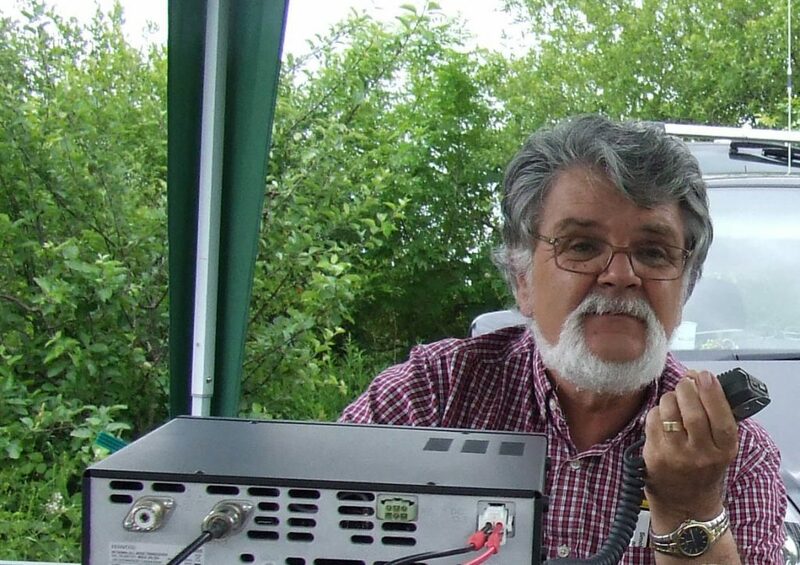 This entry was posted in Events, GB4TSF, QSL, Riviera ARC, Torbay Steam Fair and tagged Alan Gordon, GB4TSF, SES, steam engine, Torbay Steam Fair on 27/07/2012 by G2DXU. 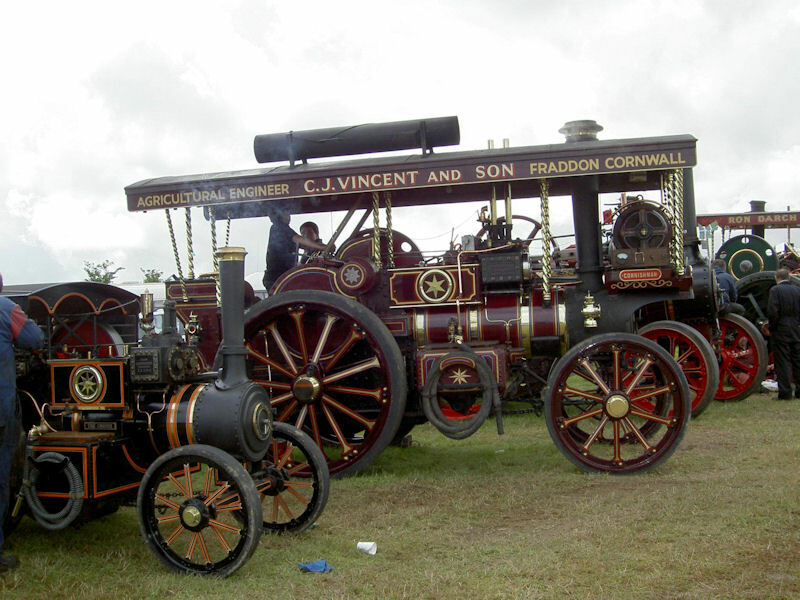 Riviera ARC will be operating a Special Event Station callsign at the Torbay Steam Fair on Saturday 4th and Sunday 5th August 2012. Callsign to be announced GB4TSF. 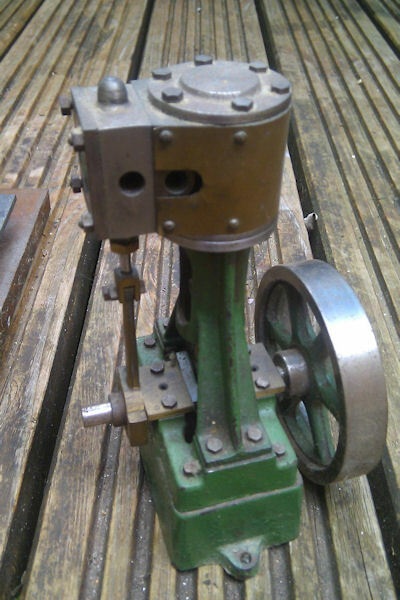 On display will be a miniature steam engine built by Alan Gordon. We will be operating on HF SSB and 2m FM. A QSL card will be available. For details of location and up to date information on callsign, frequencies and qsl card, please see our Torbay Steam Fair event page. This entry was posted in Events, GB4TSF, SES, Torbay Steam Fair and tagged Alan Gordon, GB4TSF, steam engine, Torbay Steam Fair, TSF on 15/07/2012 by G2DXU.